Greetings from Our New Family Home on the Web!! The kids' separate websites were getting unweildy to manage, and those pages rarely said a word about mom and dad! So... we've decided to combine our site into an all-inclusive family album. This site is where you'll find all the family news, upcoming events, and of course, lots of photos! Check back often as we hope to keep this new site updated regularly. Thanks for stopping by! New! 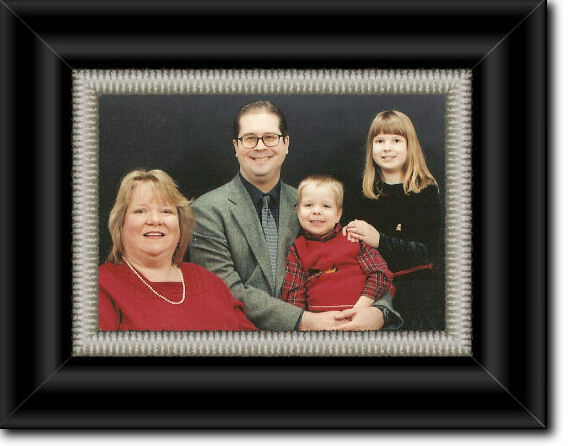 Day Family Photo Gallery - Our web host finally added a cool photo gallery utility; this will make it easier for us to add photos more often. Check it out! Halloween 2004 - See Diana's costume and our cute pumpkins on the porch. Our New Bedroom - Trish and John are redecorating their bedroom to make it more practical and usable. Click this page to check our progress!